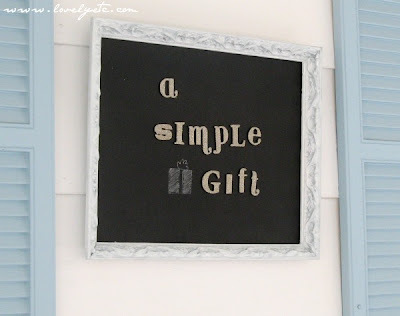 A simple gift tutorial: magnetic chalkboard - Lovely Etc. I love giving handmade gifts for Christmas. They are unique, customizable, and affordable – what’s not to love? A sweet magnetic chalkboard can make a great gift for anyone from a child to a busy mom to a young couple. 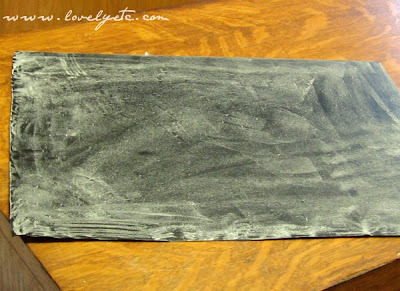 Last week I shared a great magnetic chalkboard I made from an old silvery tray, but not everyone has the perfect metal tray sitting around waiting to be made into a chalkboard. This version can be made with materials anyone can find at their local home improvement store. 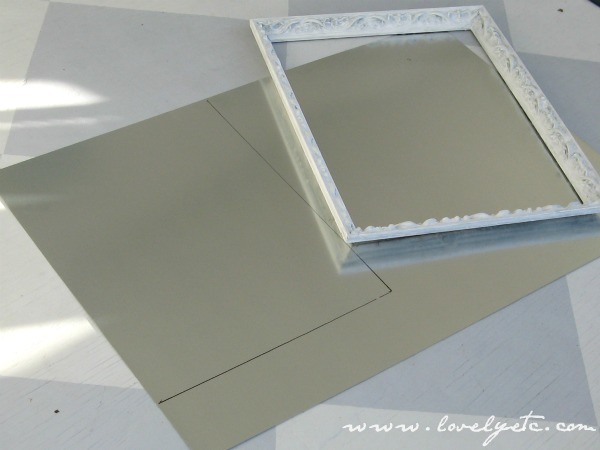 Sheet metal – This can be found at Lowes or Home Depot. It is generally in the plumbing section. At my local Lowes, a 2 ft x 3 ft sheet is around $10. One sheet can make one giant chalkboard or two medium sized ones. 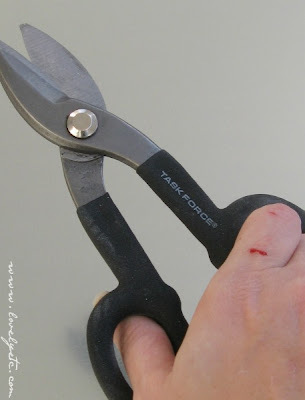 Use tin snips to cut out the shape you traced. 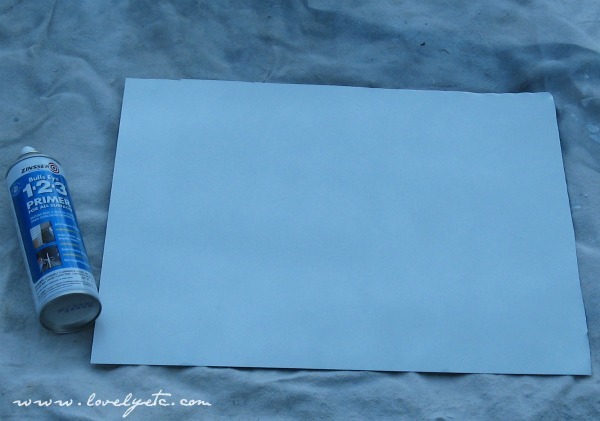 These are fairly easy to use though it does take a bit more effort than cutting paper. 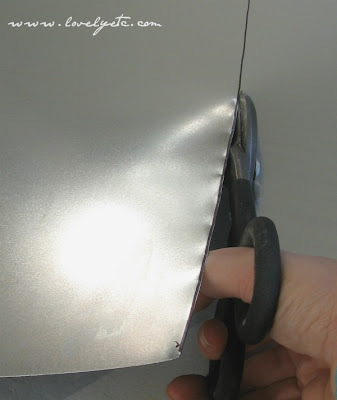 Warning – Be smarter than me and wear gloves while cutting sheet metal! The cut side can be very sharp. I have cut myself more than once this way – please be smart and just wear gloves. 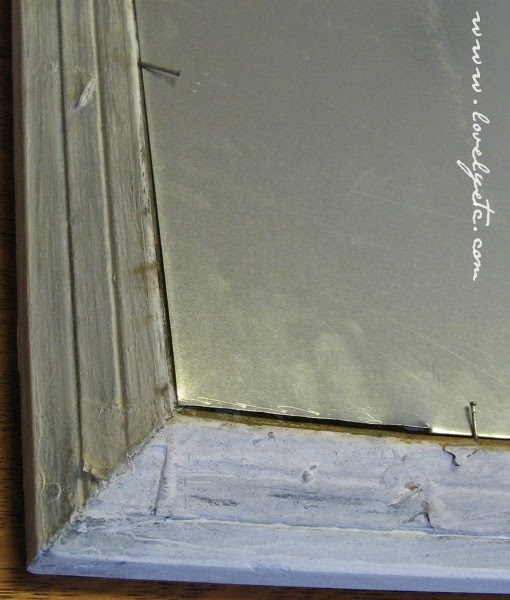 I like to spray the metal with primer first to help the chalkboard paint adhere to the metal better. 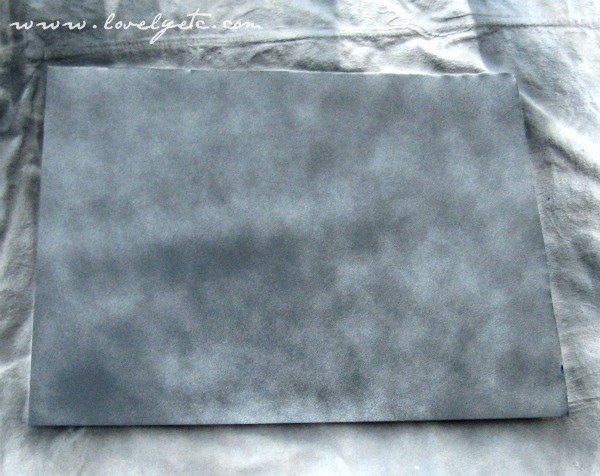 After the primer dries, paint your metal with chalkboard paint using very thin coats. 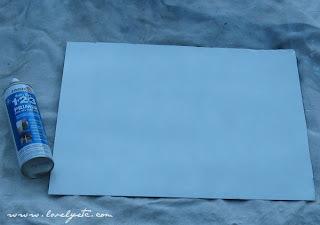 The above picture was taken after the first coat of paint. I usually use four very light coats of paint. Follow the directions on your chalkboard paint – typically you have to wait twenty-four hours and then prepare the chalkboard paint for writing by rubbing chalk all over the surface and then wiping it off. Attach the metal to the back of your frame. 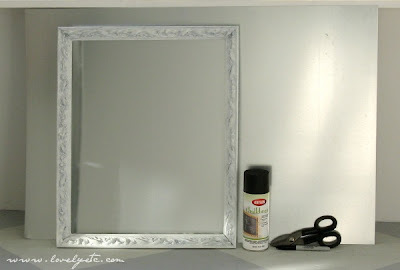 I usually just use a hammer and some small tack nails to attach the metal to the frame. Two or three nails in each side is plenty. And you are left with a great gift – a magnetic chalkboard. Both cute and practical. Give it to someone on your Christmas list or keep it for yourself. Ok, this was my first real project tutorial so I have to wonder… how did I do? Did everything make sense? Was it mind-numbingly boring? Too detailed or not detailed enough? And did I commit a huge faux pas by showing blood on my blog? (I hope no one passed out or anything). 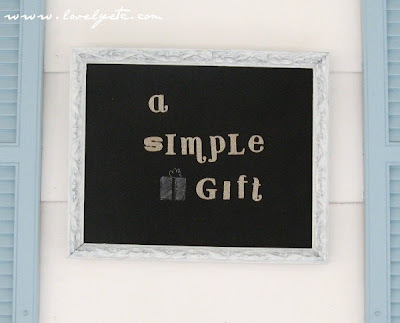 Over the next few weeks, I am planning to share more simple gift ideas and some great Christmas decor. I will also be hosting my very first giveaway in celebration of my birthday next week so be sure to stop back by. I am sharing this project at Get Your DIY On. This is a wonderful idea, now I just need some frames or make some. Awesome idea thanks! It looks fantastic! It’s a great gift for almost anyone. This is really cute, great idea!! What a great idea… I like the thought of giving this as a gift. My mom would love this. I love this and am super excited to put one together !! This is a great idea! I’ve made some chalkboard and a magnetic board just not an all in one. Love this idea, and I think my two youngest grandkids would love one. Thank you Linda! These are great for kids and adults alike!